Favorite Quote: "It will never, e..e..e..ever happen again!" He calls himself a new hero. Your new party host. The Ayatollah of Rock n' Roll-a. The Y2J problem. 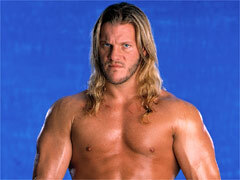 Call him whatever you want, but the fact remains ... Chris Jericho has arrived in the World Wrestling Federation! With one of the most spectacular entrances in the history of sports-entertainment, Jericho made his Federation debut live in Chicago on RAW IS WAR! He feels that he is here to save the Federation, and that every single superstar should just, "Shut the Hell up!"